How Mayors of small municipalities perceive possibilities of municipal/local-based flood protection? 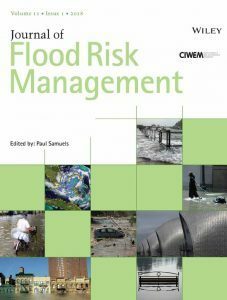 ABSTRACT: The multilevel adaptive governance of flood risk reduction has been emphasised in the last decades and supported by the requirements of European Flood Directive (EC, 2007), while assigning an increasingly important role to municipalities. By contrast, only fragmented efforts have addressed the personal (expert knowledge), financial, and institutional limits of municipalities to achieve the flood risk management (FRM) goals. Starting with thorough literature review, we emphasise the key gaps in current understanding of municipal FRM and note that scarce attention has been paid to small‐sized municipalities (both in area and population). Next, we present an empirical case study based on semi‐structured interviews with 17 mayors of small municipalities in a flood‐prone area of northern Czechia. The aggregation of the mayors’ opinions about flood threat and current and planned FRM measures as well as the perceived barriers in their implementation enabled the classification of different FRM strategies at a municipal level (herein referred to as “self‐confidence,” “fatalism,” and “active scepticism”). These strategies are then discussed in terms of the mayors’ leadership styles and the significant consequences on the effectiveness and efficiency of FRM at a municipal level.